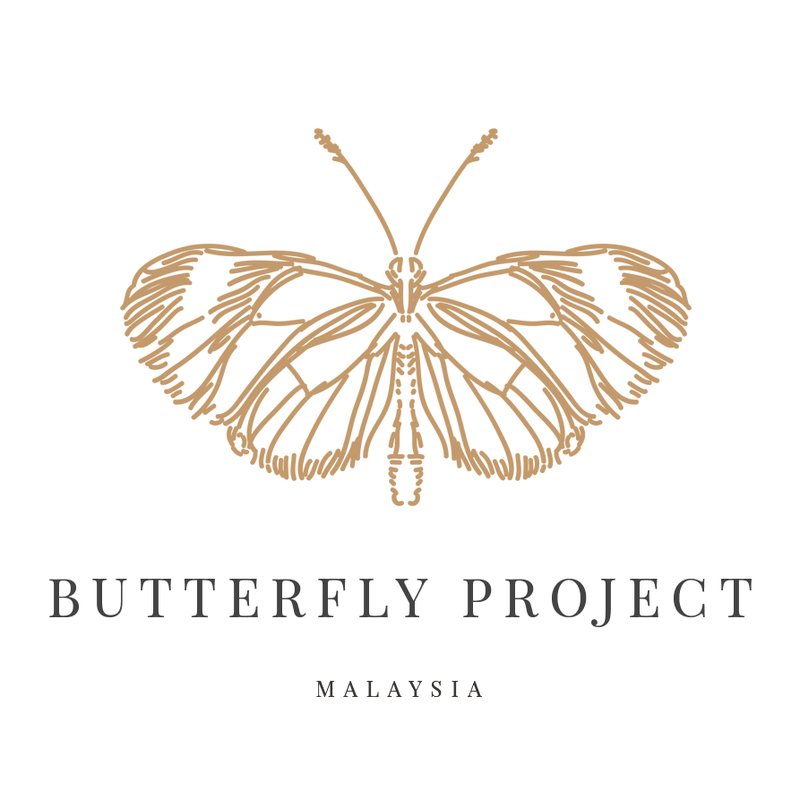 Hello butterfly! Happy Weekend! As I love enjoy eating my food, I do love my Skin too. No wonder when Althea.kr offer FOOD SKIN LOVE box for limited time , I grab 1 box before it sold out. 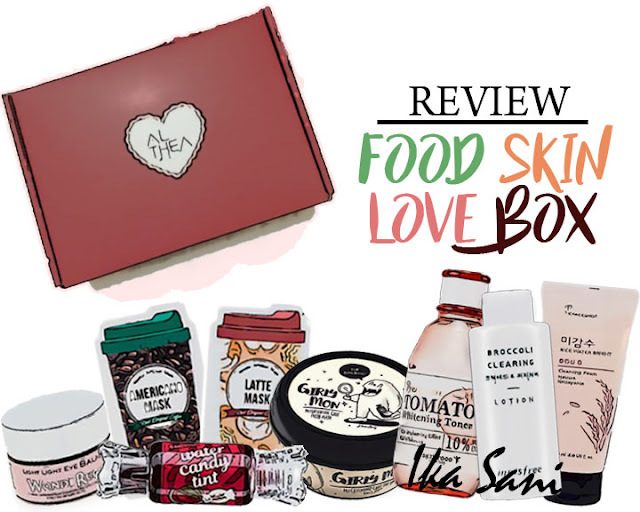 FOOD SKIN LOVE box is a recipes to a beautiful skin .There are 7 full sized item in the box. The whole box only cost RM 110.00 . Haaa!! You will change your mind if you know how it cost separately. Excited too see what inside the box? Let me show you guys! Do you know the best skincare remedies always start with ingredient that you can find in your kitchen? We are going to talk about Rice! What Rice water can do in your skincare regime? Rice water is full of vitamins and minerals for skin and hair, have being use from centuries by our ancestor. Rice water give you natural brightening and flawless effect. However, people now days so busy with their own life, and DIY skincare with rice water may take time. To make your life easier, TheFaceShop come out with Rice Water Bright Cleansing Foam .TheFaceShop Rice Water Bright Cleansing Foam is enriched with a natural rice water solution with brightening effect. This product is infused with rice water and Moringa flower oil, which moisturizes, detoxifies and brightens the complexion. Due to its lush creamy texture, this cleansing foam actually helps to keep the skin hydrated by minimizing the moisture lost from cleansing. If your priority to have brigtening skin, TheFaceShop Rice Water Bright Cleansing Foam is definitely for you. How to use? Squeeze out a small amount and lather up till foamy. Not to much, a little is enough to cover the entire face. Once wet and rubbed between the palms and applied to the face. Then massage gently onto face in circular motions. Rinse off with water and dap dap your face with clean towel. TheFaceShop Rice Water Bright Cleansing Foam have thick and creamy texture. Don’t be surprise, this is not normal cleanser. There are rice bran inside the cleanser. However, there's a small amount of rice bran to reconsider a scrub for exfoliate your skin. It has a nice light rice scent and I love it. I love how my skin feels after wash with TheFaceShop Rice Water Bright Cleansing Foam. It makes my skin soft, and smooth. I fell my skin more tighter maybe due to oil removal. It also tightens my pores, making them look even better after cleansing. Hahha I use this cleanser 2 time a week because if I use every day my skin somehow can be over drying. Personally I do enjoy using natural ingredient . 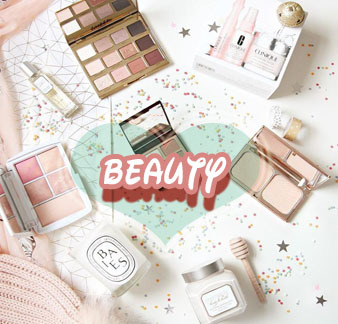 A lot of chemical product is not good for you skin for long time. We all know 'foods ' that high in antioxidants, like our friend, 'the tomato', are good for you. Do you know antioxidants reduce free radical damage? Why does this matter? Because one theory of aging argues that it results from free radical damage. Skinfood bolsters the fighting power of its Premium Tomato line by sourcing our tomatoes from the leading tomato farm in Korea, certified by the Korea National Agricultural Products Quality Management Service. 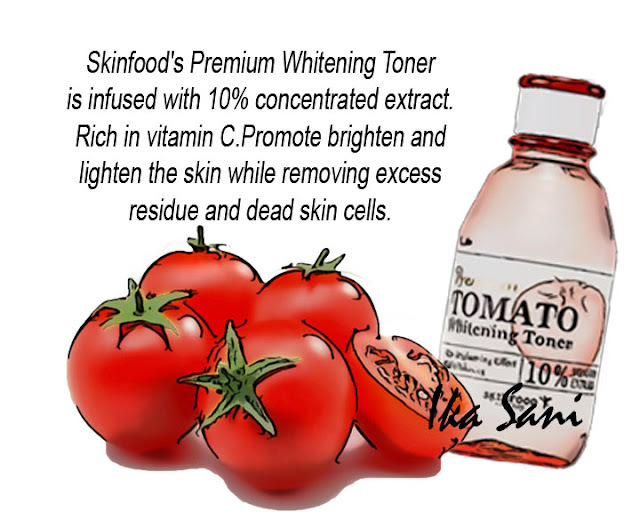 This product promote brightening toner containing 10% sun-kissed tomato extract and vitamin-C to enhance complexion. Tomato contains a large amount of the antioxidant lycopene. 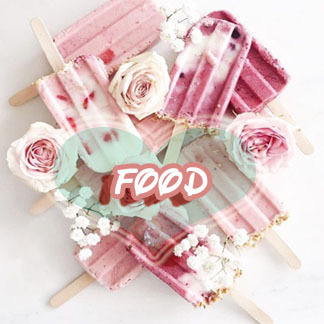 Lycopene prevents skin aging by removing free radicals that accumulate in the body, along with its buddies, Vitamins A, C and E. Together with their sidekick, beta-carotene, they all work to neutralize harmful free radicals. 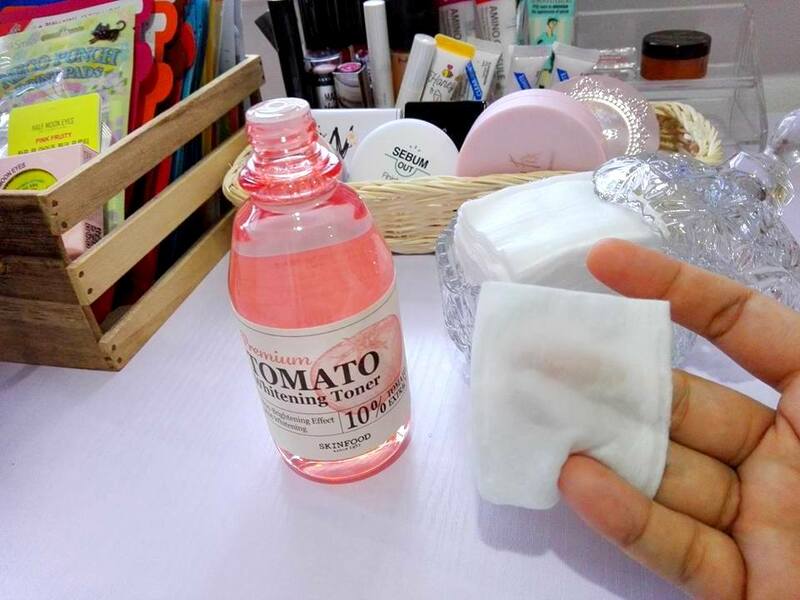 Skinfood Premium Tomato Whitening Toner is in a plastic bottle with screw top. The opening is wide enough to spit the toner out. Use cotton pad as a medium to transfer the toner to your skin. Pat gently until complete absorption. 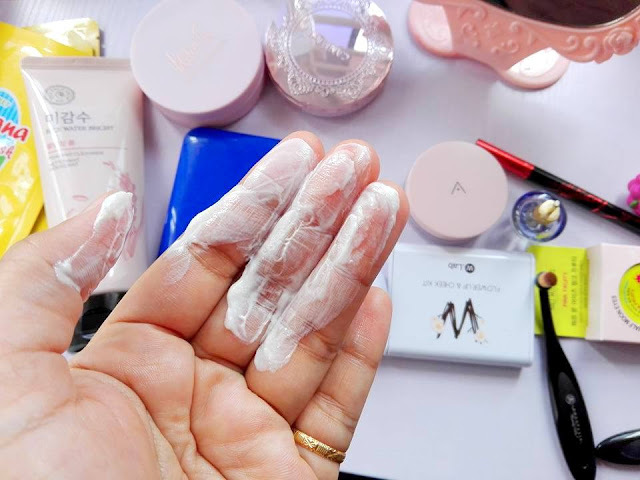 I love how light watery toner that can It easily absorbed in my skin without left any sticky feeling. 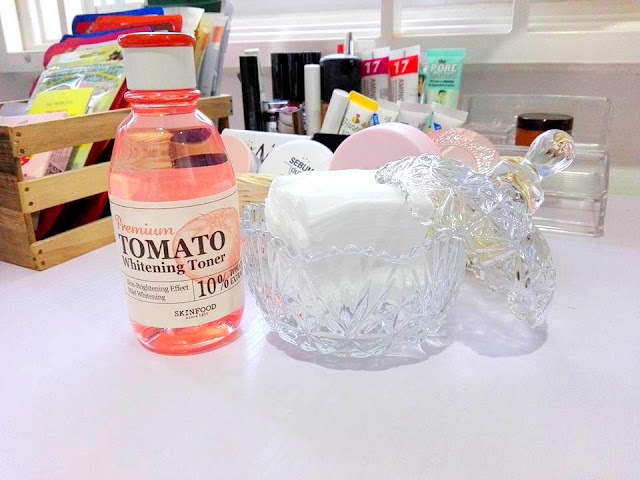 I never know Skinfood Premium Tomato Whitening Toner give me a relaxing effect. Waaa I love it muah muah muah muah muah. Using a cotton pad it could cleanse the dirt on my face too. If you are not tomato lover, don’t worries about the scent. Not a tomato smell but a light nice scent, not overpowering since you might not smell it after applying on your skin. 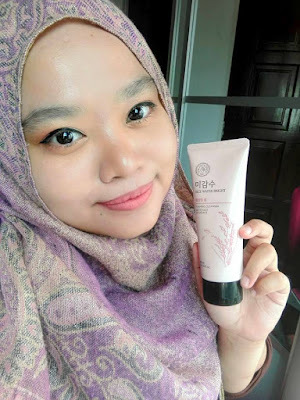 Overall Impression, I was never interested to finish my toners until I tried this one. I do love how Skinfood Premium Tomato Whitening Toner work on my skin. You won’t see instant whitening or brightening effect but I can feel how healthy my skin is. A little bit glowing if you see my face closer. I’m soo excited to finish my first bottle. People often make the mistake, if they have a combination or oily skin they prefer to skip using lotion/ moisturizer. To let you know, if you have oily skin, you can still use moisturizer everyday. If you're wondering if adding a lotion might be a good thing for your skin. I will say YES! The important part here picks the good lotion for your oily skin. I know, you don't want your skin feeling greasy or sticky right? Let’s me introduce you Innisfree Broccoli Clearing Lotion. Formulated with broccoli extracts having various vitamins and minerals for soothing care. It contains broccoli and salicylic acid (0.1%) components. It makes your skin calm and care the sebum and blackheads. Travel friendly. There’s a safety lid which you should remove before using it. 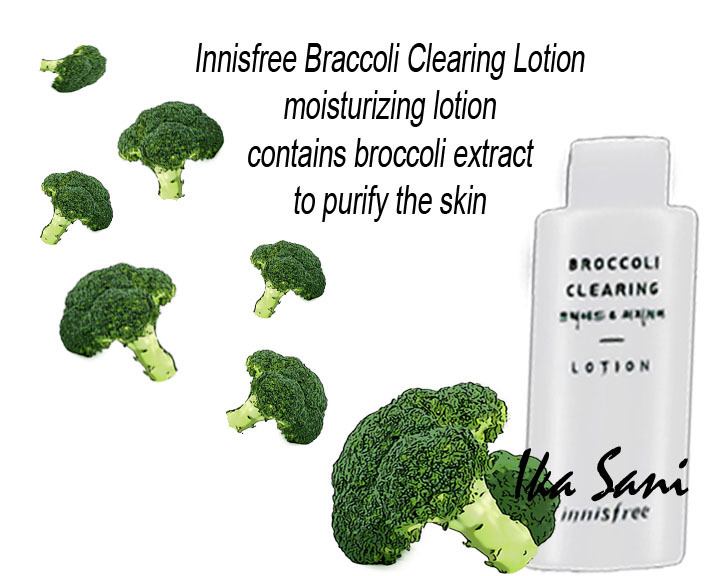 Innisfree Broccoli Clearing Lotion this line is really good for oily or combination skin. My concern for the lotion is not give me a breakout, and it give me good job. After a while using this Innisfree Broccoli Clearing Lotion, no breakout, no greasy feeling, just nice as the product is created just for me? Hehee. Moreover the lotion absorbs quickly in my skin. How to use? Using an appropriate amount, spread evenly over face after cleansing and toning. Pat gently with fingertips to better the absorption. 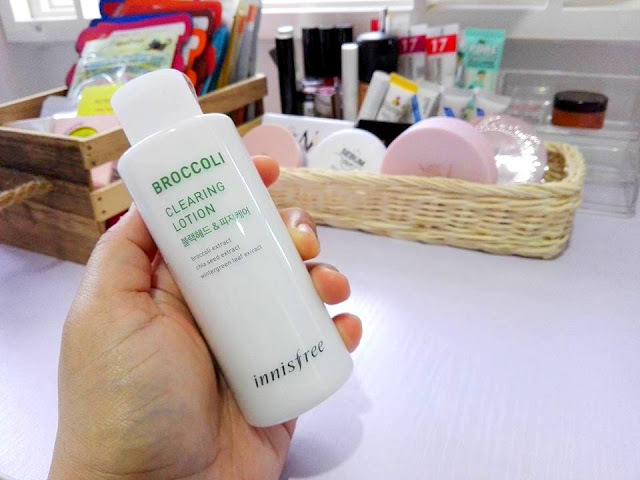 The result, Innisfree Broccoli Clearing Lotion good control sebum on my face. When you have just the right amount of sebum, it helps protect your skin. But if your skin has too much sebum, you'll probably be battling acne. For the blackheads, don’t see any decrease of blackhead in my face. 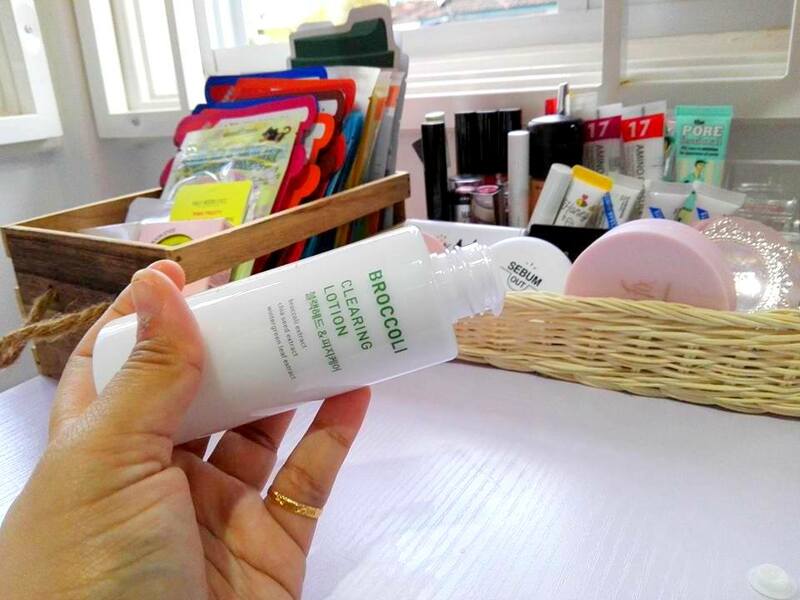 If you are concern about the blackheads, this product is not suitable for you but if your concern is sebum, yes , Innisfree Broccoli Clearing Lotion good investment for you. You are using your eye area every single seconds from you open your eyes until sleeping. Eye movements and blinking you always do right? What we do to treat our under eyes? Of course with Wonde Ruci Light Light Eye Balm . It have the same function as eye cream but in the balm type. Is it compulsory on your skincare routine? I could say yes , we need it. The under eye area has thinner skin than your cheek. 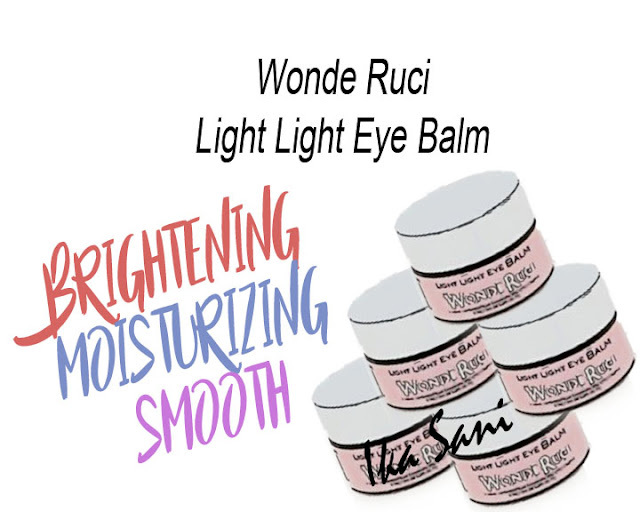 Wonde Ruci Light Light Eye Balm in hopes of Brightening, Moisturizing and Smooth my under eye area. Does it work? Read till the end darling! The packaging really simple in white sticker and box. Wonde Ruci Light Light Eye Balm come in glass jar without mini spoon. So I’m using my finger to apply the balm for my under eyes. Make sure your hand clean! Or use any spoon my do. How to use? Take an adequate amount and Dot the balm under your eye, moving from inner to outer corner. Dap Dap under eye area and don’t rub. And you are done. 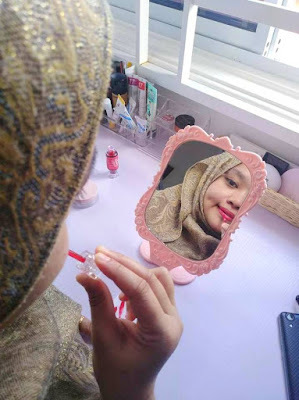 I use before makeup and night before sleep. As expected, Wonde Ruci Light Light Eye Balm melts easily, light weighted make it easy to be applied. Does it work? Yes for me. I could see, my dark circles are reducing, mean more brightening. I could feel my under eyes more moisturizing than before. Overall I am totally satisfying how Wonde Ruci Light Light Eye Balm work on my under eyes. An exfoliating mask will help to remove the dead skin because when old skin cells start to pile up on the surface of the skin, it can leave skin looking dull. One mask is not enough for me. Face palm! . So today I would like to introduce Monstory GirlyMon Brightening Care Fresh Mask as my new babies in my mask collection. Wizard Monster GirlyMon who returns milk-white, transparent skins with makgeoli . Makgeoli is rich of vitamin,protein, mineral that good for your skin. 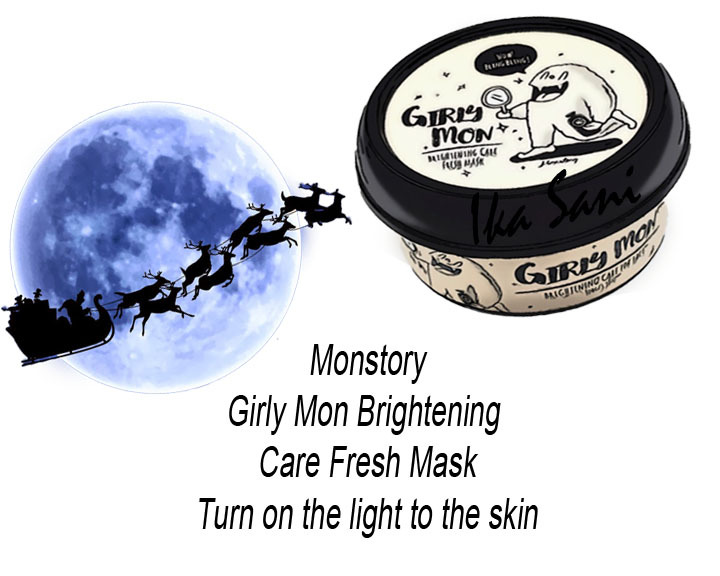 Inside Monstory GirlyMon Brightening Care Fresh Mask can see the rice bran. This bran is helped your skin shine and bright like sunshine! The packaging is so cute! You could see monster there. 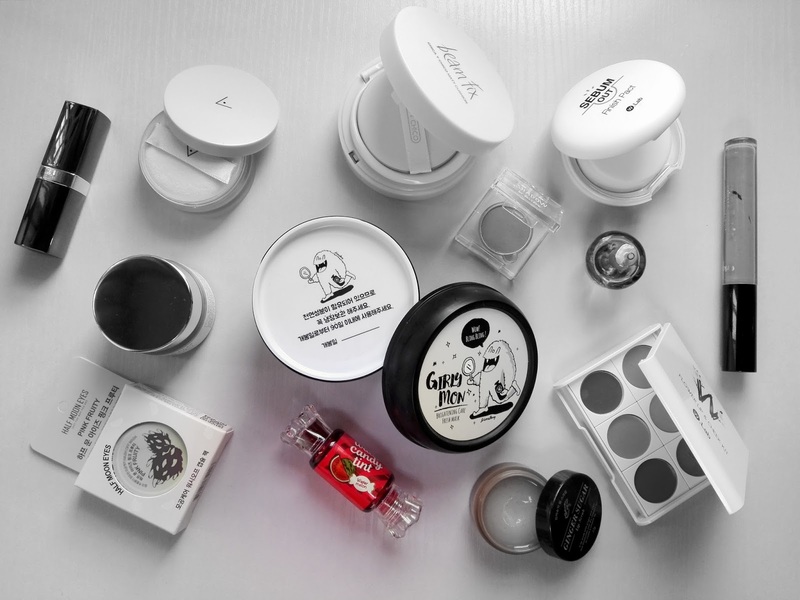 If you talk about product packaging, Korean product never disappointed me.Please take note. Use it in 90 days when you opened the product for best effect of product. Store in the fridge after open because all ingredient is natural product. It has a scent but not overpowering. Still bearable. How to use? After washing your face apply evenly all over your face avoiding the eye area and mouth. After 15 minutes , gentle massage with warm water, then rinse with cold water. Massage gently with your fingers not to hard ya! It mildly exfoliates face and treats my skin tone.I could feel my skin more smoother than before. Yipeee. For brightening effect, yes I could see after a month. Not drastic changing but yes! A little bit is better than nothing. 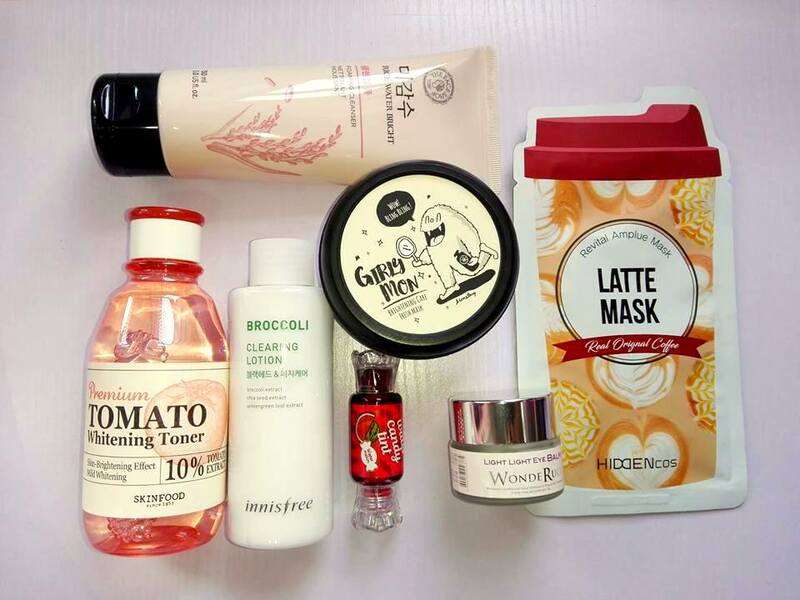 For those who think sheet face mask is expensive, Monstory GirlyMon Brightening Care Fresh Mask is for you. 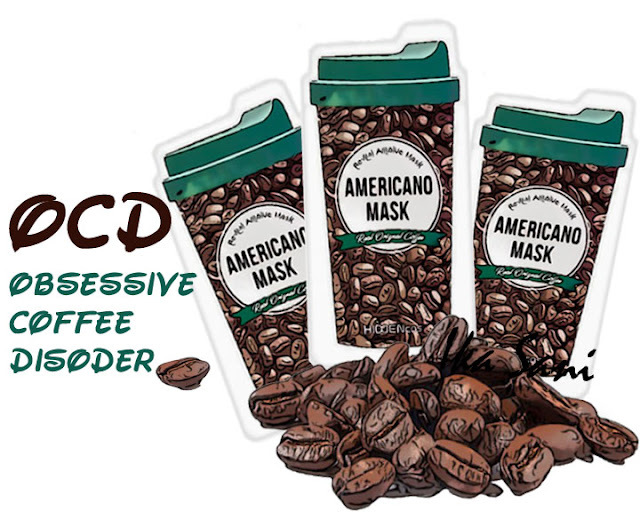 This is a screening measure to help you determine whether you might have an obsessive coffee disorder that needs lovely attention.😉 Obsessive coffee disorder is a caffeine addicted that affects people of all ages and walks of life, and occurs when a person can’t move on with the coffee aroma .😉 When you wake up, the first thing you do is sipping down a freshly brewed cup of coffee. Most people drink coffee to make them a wake or more productive, however don’t be surprise I can sleep like a sleeping beauty after drink 4-6 cup a day or single shoot of coffee either mocha, Nescafe, latte, tiramisu or other . The coffee doesn’t affect me that much. Maybe I’m use with the coffee since secondary school? However, for a long term, having coffee to much in a day is not good for you. I can’t quit drinking coffee but I can reduce the dose of caffeine. I found a solution how can you last a day without drinking a cup of coffee. Hiddencos Revital Ampule Americano Sheet Mask with real original coffee. The mask itself was soaked in Columbia Premium Arabica coffee extract. This provided rich moisture and nutrients to dull skin by polluted air. It also contains Patented Phyto Oligo which provided extra moisture and protection to the skin to smooth while giving it a natural glow. It also contains Niacinamide for clear and elastic skin. How to use? Place your mask in the fridge for a cooling effect, that apply to your face for 20 – 30 minute. Remove the mask than dap dap the remanding essence in your face. After that rinsing with water if not you will feel sticky. 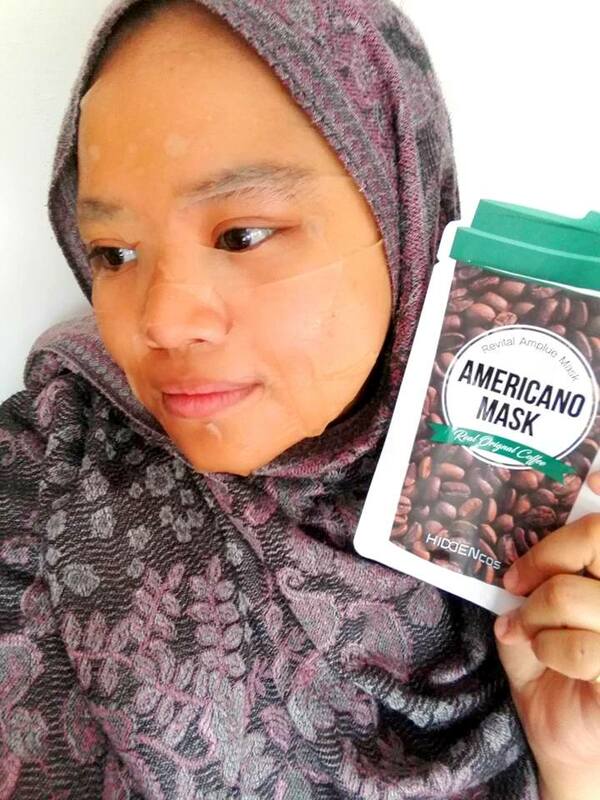 After use Hiddencos Revital Ampule Americano Sheet Mask my face turn more moisture and instant glowing for short term. (better than none) . Walaaa. The best part I can’t forget the overwhelmingly aroma of coffee. 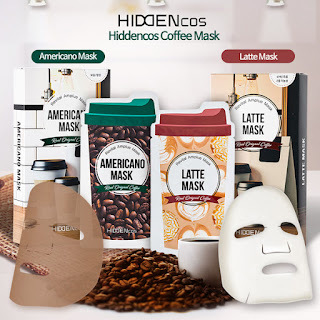 For the brighter skin effect and reduce of wrinkle you need to use regularly to see the effect, one or twice can’t promise you anything because this is not plastic surgery.Not like other mask, Hiddencos Revital Ampule Americano Sheet Mask is light brown color, once open up the packaging, you can smell the aroma of fresh brew coffee of Americano in you room. Moreover, there was a lot of extra essence left in the pack so I squeezed and apply at my neck heehee. 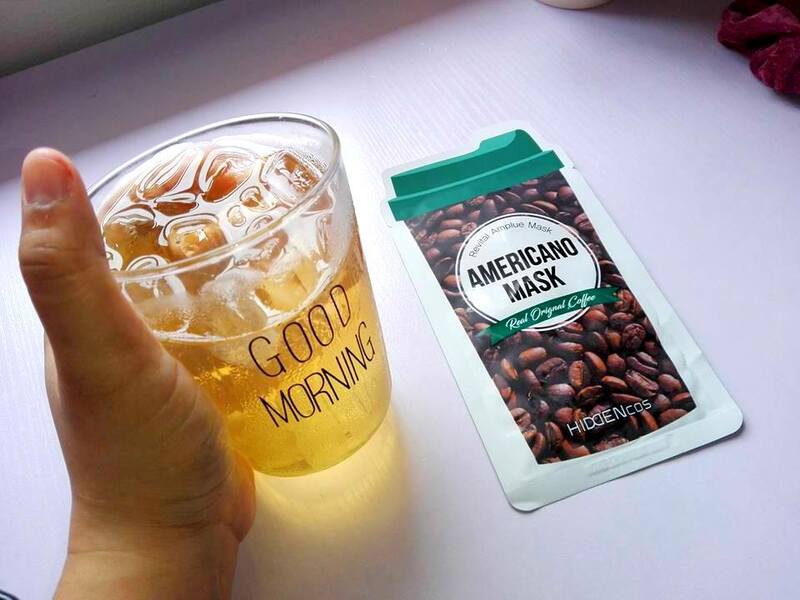 However trust me, Hiddencos Revital Ampule Americano Sheet Mask a good treatment if you are going to reduce your daily caffeine, not only you become more healthy, your skin be more glowing like a shinning pearl too. 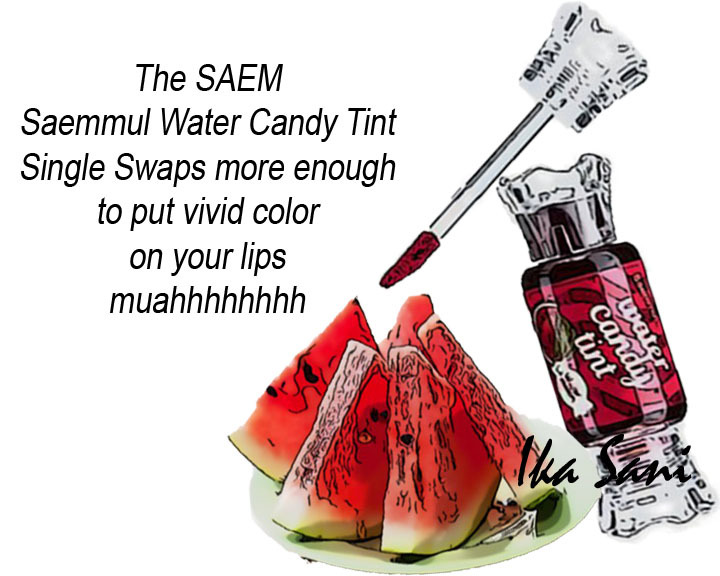 The Saem Saemmul Water Candy Tint in Watermelon my new toys. Teenagers prefer using lip tint than lipstick, because the color is vibrant, outstanding and naturally stay on your lips. You won’t feel anything even you reapply the tint because Saemmul Water Candy Tint has light watery texture which is quite fast to absorb . Water color dispersion method to gently spread to apply on curvy lips, long-lasting without erasing easily from external friction. 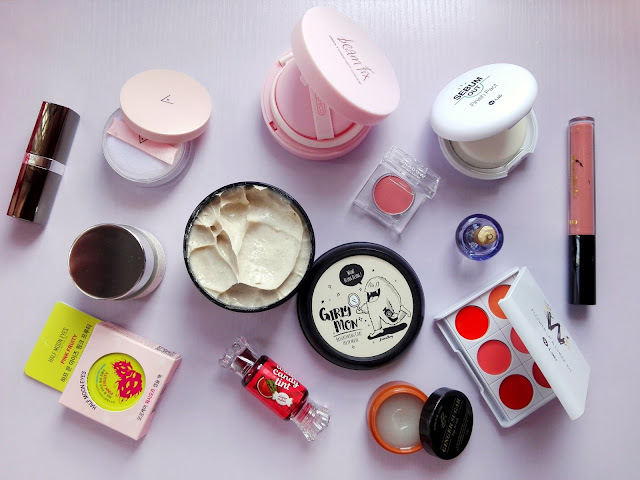 As you can see, the packaging itself look like a candy no wonder why the name The Saem Saemmul Water Candy Tint .Hahaha I always fall in love with the cutie thing, As women love cute product I do agree why we keep buying online just only looking for the picture. I keep this tint in my office drawer as a backup if I forget to bring my favourite lipstick. This lip tint available in 5 color. However for FOOD SKIN LOVE Box, the liptint Althea give me is 05 Watermelon. Do you know? The shade itself represents the color which in matte red with cool undertone. Moreover, it have watermelon scent, not to overpowering but just nice and sweet. The color is so pretty when applied boldly for the full lips. One touch gives vivid color with bright light on your lips. The weight only 10g with you can bring in your handbag . Even it so small, I would agree it gets the job done well . After a 4 hours, the color is still there on your lips . No need to worries to touch up frequently. 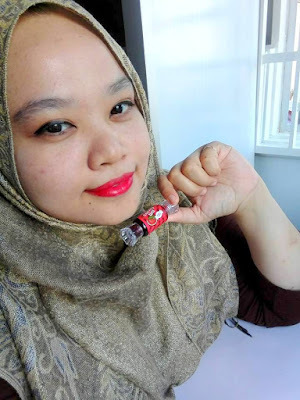 Saemmul Water Candy Tint doesn’t dry up my lips like other lip tint. when I coincidentally lick my lips, it doesn’t taste bitter. It come with doe foot applicator with a soft brush. Twist and pull the cap off, then there you have your applicator. Easy to use, please start from the center of your lips.I'd personally prefer to lay it little as a base until the perfect shape is create. Then, I fill in the line to avoid the tint out of my lips, hahah it'll stay all day where it happened to be applied >_<.The other function that I can figure, it could be used a blusher too. Just dap dap dap on your cheek, it is easy to blend out. That the end for my FOOD SKIN LOVE BOX review. If you calculate the whole price,it will cost you RM 476.00! You see ,you just need to pay RM 110.00 and you save 76% per box. However, too bad, the box was sold out. No worries, Althea will coming up with other box soon. 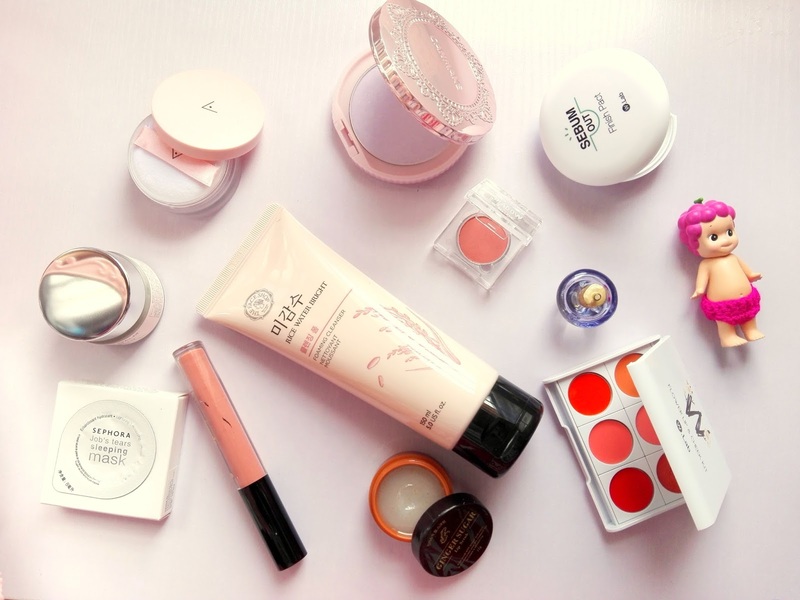 If you haven't open any account at Althea korea. 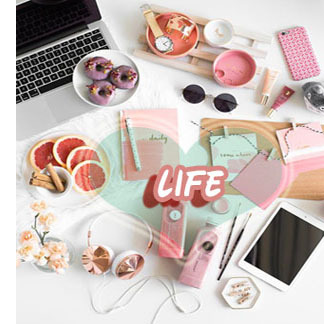 Just sign up now at Althea's Website to receive an RM30 member discounts for new member welcome gift when purchasing at Althea Korea. Hello peeps! Yes, me again! Do you know the best skincare remedies always start with ingredient that you can find in your kitchen? We are going to talk about Rice! What Rice water can do in your skincare regime? Rice water is full of vitamins and minerals for skin and hair, have being use from centuries by our ancestor. Rice water give you natural brightening and flawless effect. However, people now days so busy with their own life, and DIY skincare with rice water may take time. So how about you try out TheFaceShop Rice Water Bright Cleansing Foam (RM26.00/150ml)! Enriched with a natural rice water solution with brightening effect. This product is infused with rice water and Moringa flower oil, which moisturizes, detoxifies and brightens the complexion. Due to its lush creamy texture, this cleansing foam actually helps to keep the skin hydrated by minimizing the moisture lost from cleansing. 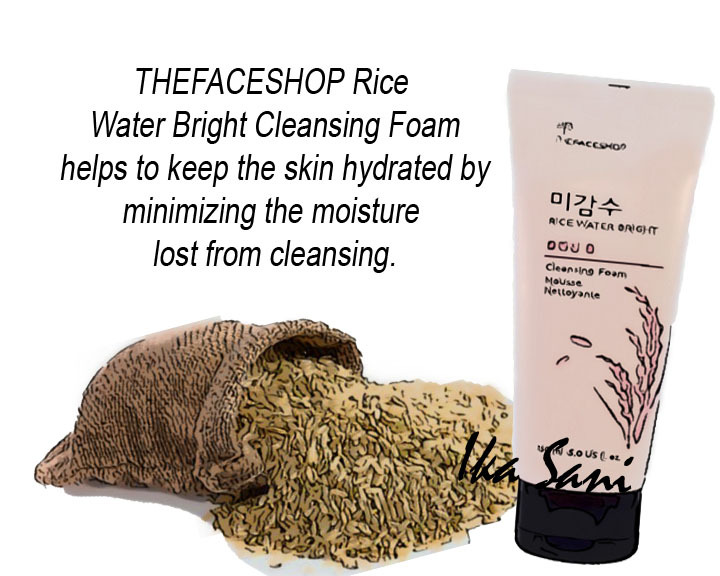 If your priority to have brigtening skin, TheFaceShop Rice Water Bright Cleansing Foam is definitely for you. Hey guys! Happy weekend! Do you excited to see a lot of review this month! 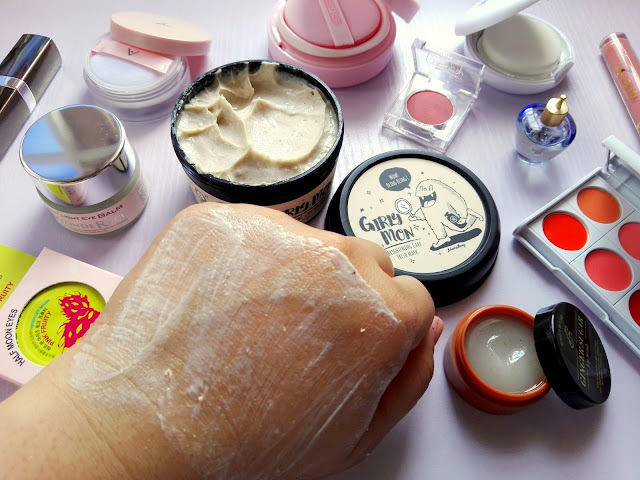 I’m so surprise too, Usually I’m lazy to update my blog hahhaha .An exfoliating mask will help to remove the dead skin because when old skin cells start to pile up on the surface of the skin, it can leave skin looking dull. One mask is not enough for me. Face palm! . So today I would like to introduce Monstory GirlyMon Brightening Care Fresh Mask RM50 /100g . Holla peeps! You are using your eye area every single seconds from you open your eyes until sleeping. Eye movements and blinking you always do right? What we do to treat our under eyes? With Eye cream of course! Have you use any eye cream? 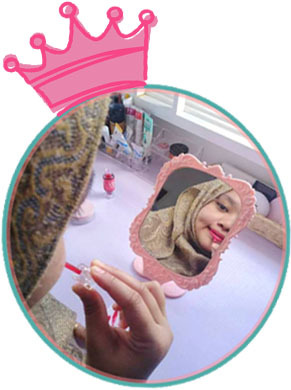 Currently I’m using Wonde Ruci Light Light Eye Balm (RM67.00/20g). The same function as eye cream but in the balm type. Is it compulsory on your skincare routine? I could say yes , we need it. The under eye area has thinner skin than your cheek. Wonde Ruci Light Light Eye Balm in hopes of Brightening, Moisturizing and Smooth my under eye area. Does it work? Read till the end darling! The packaging really simple in white sticker and box. Wonde Ruci Light Light Eye Balm come in glass jar without mini spoon. So I’m using my finger to apply the balm to for my under eyes. Make sure your hand clean! Or use any spoon my do. How to use? Take an adequate amount and Dot the balm under your eye, moving from inner to outer corner. Tap tap eye area and don’t rub. And you are done. 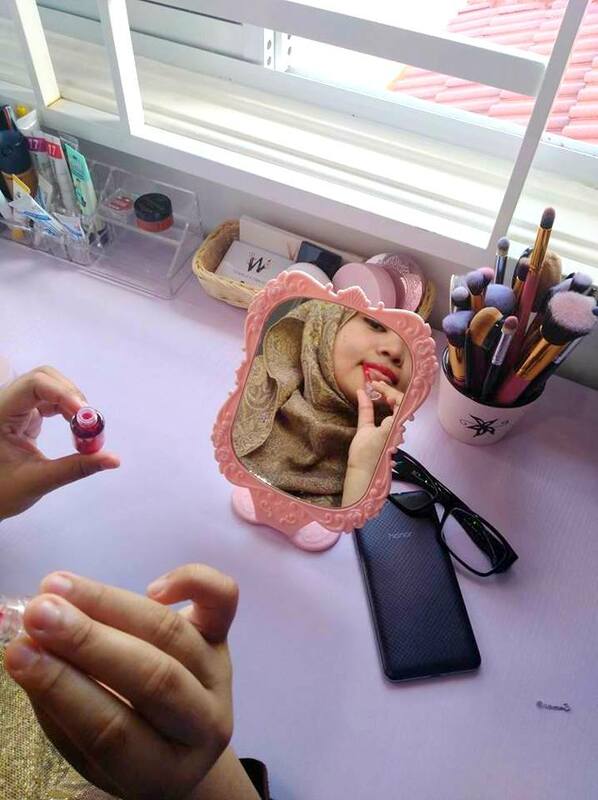 I use before makeup and night before sleep.